FCA -Little Caesar's All Star East-West Senior Basketball Games are Sat. March 16th at UVA Wise. Girls game is at 6pm . Boys play at 7.30pm. West girls are coached by Robin Dotson of Central and Donnie Frazier of Ridgeview. 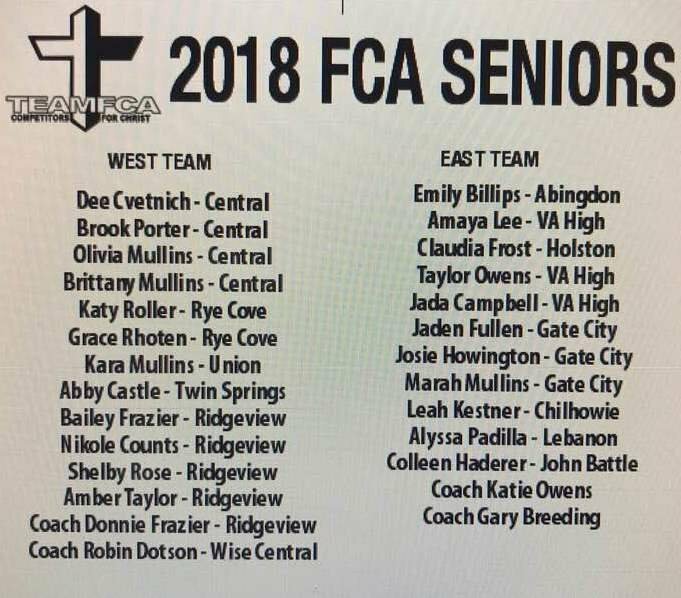 East girls are coached by Gary Breeding of Abingdon and Katie Cox of Va High. Boys West coach is Mike Elkins of Lee High . East Coach is John Hubbard of Holston. 3 point contests and Slam Dunk challenge at halftime. What are the rosters for this like?